The question we explored on Tuesdayof Workcamp was “Why are you so afraid?” For me, as I considered this question through out the whole day, all I could come up with as an answer to Jesus was, “I don’t really know, but I know that I am.” As I thought about some of my most common fears and doubts, I could not truly come up with a good reason WHY to be afraid in those situations, yet I often am. That’s what I love about Jesus when he asks this question to his disciples in Mark 4:35-40. The disciples are scared in the middle of a storm. They are afraid that they will die and there is Jesus sleeping in the back of the boat. What I love is that BEFORE Jesus asks “Why are you afraid?” he understands their fear and does something to calm them down… he calms the storm. I’m not saying that God always takes away the things that cause me fear, but He does always understand my fear and accepts me in my fear. Jesus knew they wouldn’t drown… not with him there. He could have let the storm rage while he asked “Why are you afraid?” I’m right here, but he didn’t. He knew their need. He knew their fear and he showed them WHY they didn’t need to be afraid by calming the storm. One big fear many of our students conquered this week was the fear of heights! 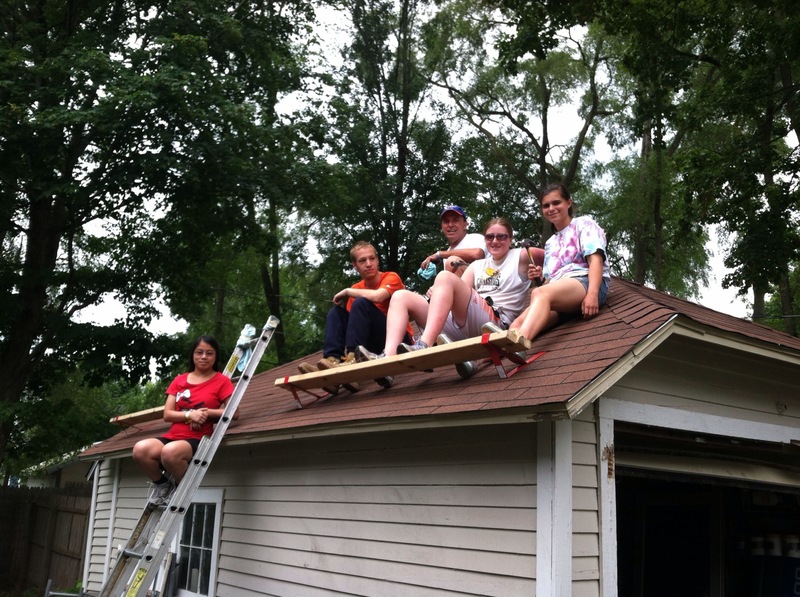 This is Crew 1 on their FINISHED roof!